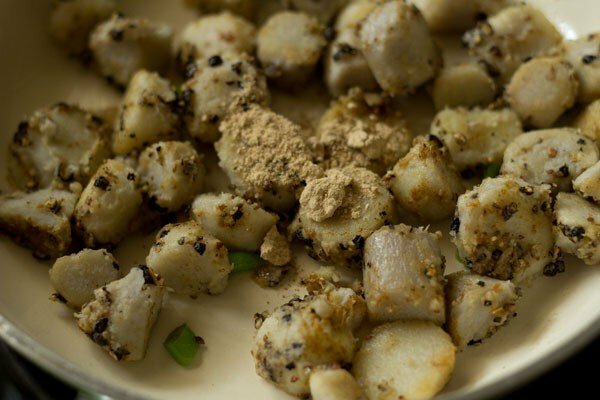 spiced colocasia or taro roots fry for navratri fasting. 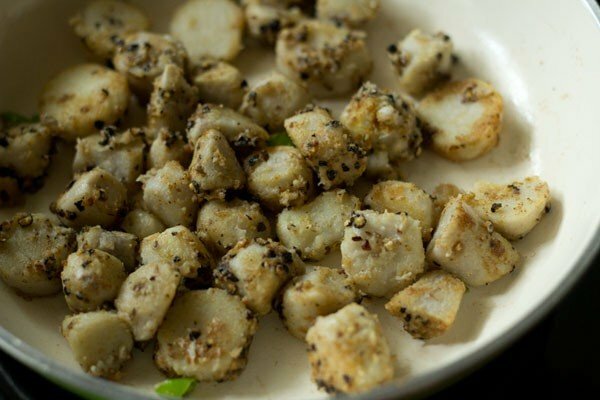 arbi fry recipe with step by step photos – spiced colocasia or taro roots fry for the navratri festival. 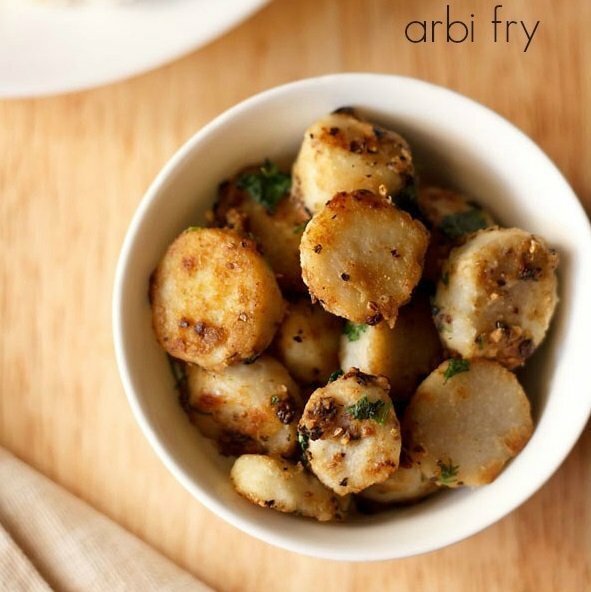 arbi is also called as seppankizhangu in tamil language. 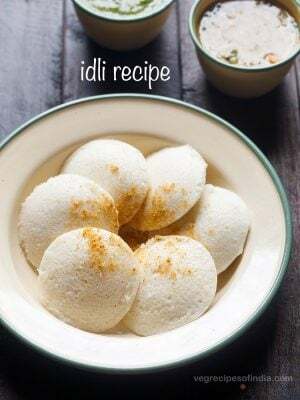 one more simple and easy recipe for the fasting season made with arbi. 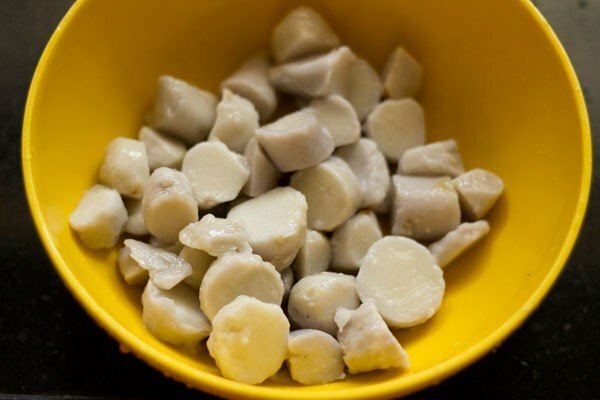 colocasia or arbi is again one of those ingredients that we use during religious fasting. 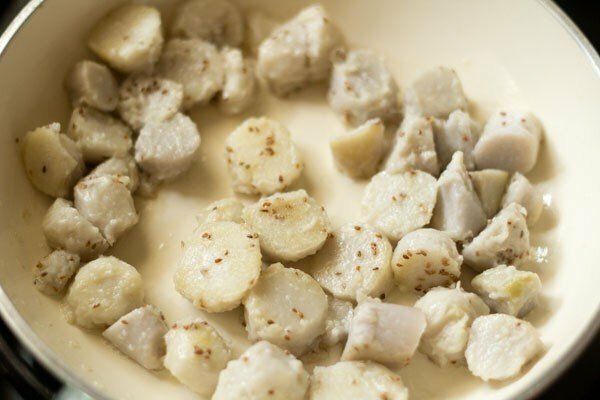 colocasia, yam and sweet potato are better alternatives to potatoes, when fasting and also if you have got bored with potatoes :-). 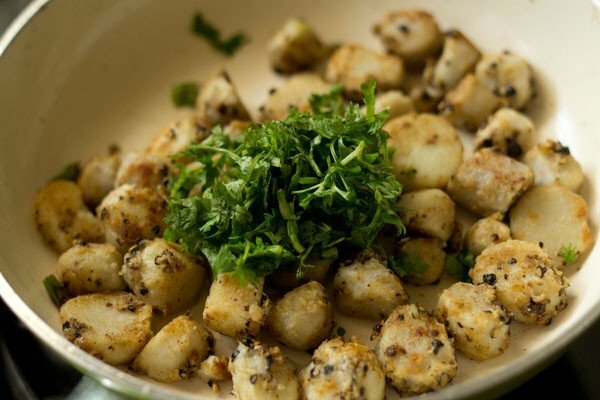 you can also have a look at this collection of arbi recipes for fasting. 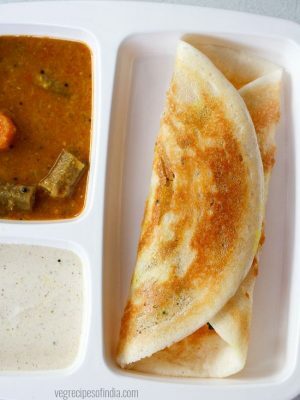 if you don’t have dry mango powder then you can use lemon juice instead of it. if you don’t have carom seeds then you can use cumin seeds. 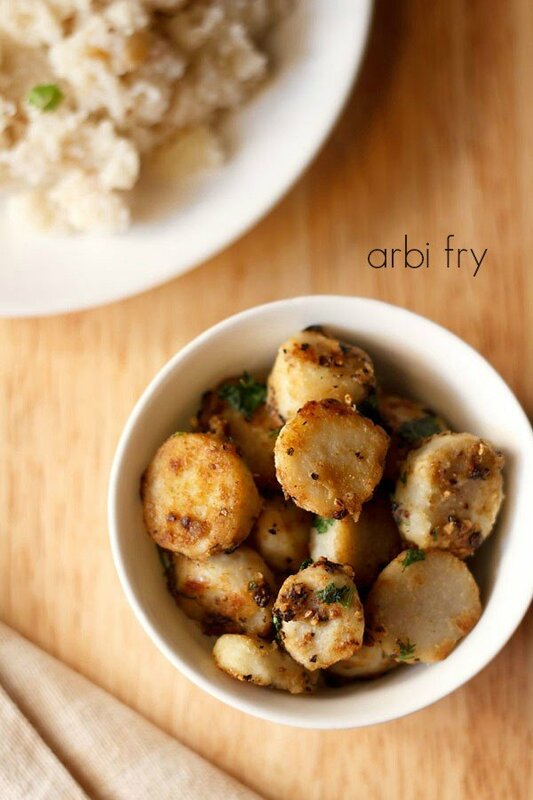 this arbi fry can be had as a side dish, snack or even with rajgira paratha along with some green chutney or curd. 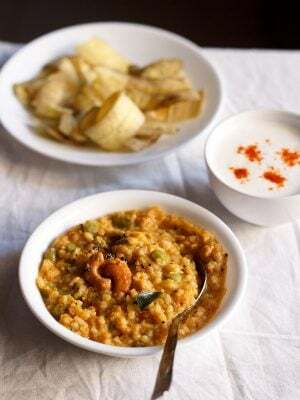 i served along with vrat ki khichdi (samvat rice or barnyard millet khichdi). 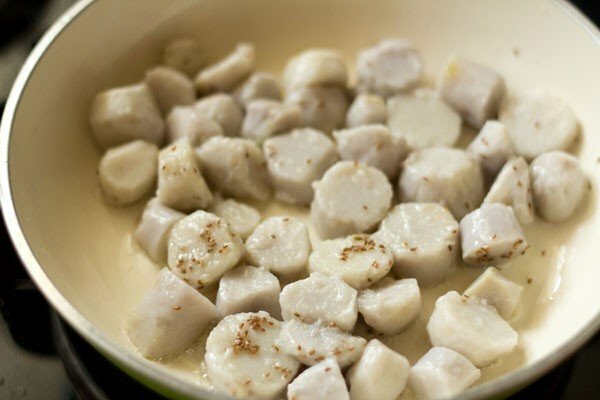 if you are looking for more navratri recipes then do check rajgira kheer, sabudana tikki, sabudana khichdi, aloo makhana, vrat ki kadhi and raw banana kofta recipe. rinse 250 grams arbi very well in water. then place them in a cooker. add 2 cups of water. pressure cook the arbi for 2 to 3 whistles or for 8 to 10 minutes on medium flame. when the pressure settles down on its own, open the lid and check the doneness of the arbi. a knife should easily slid through the arbi. if not, then pressure cook for 1 whistle. 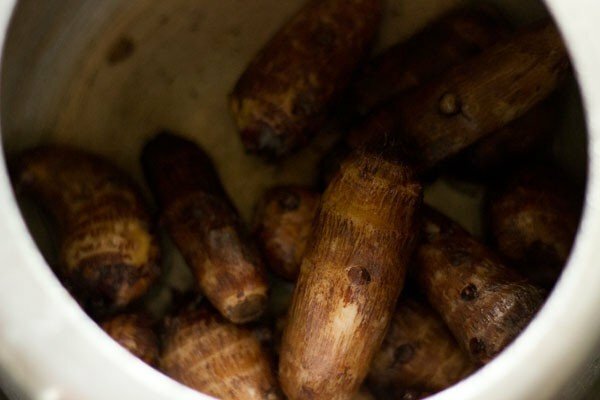 when the arbi cools down or become warm, peel and then slice them in 1/4 to 1/3 inch rounds. keep aside. in a small pan, heat 1/2 tbsp peanut oil. 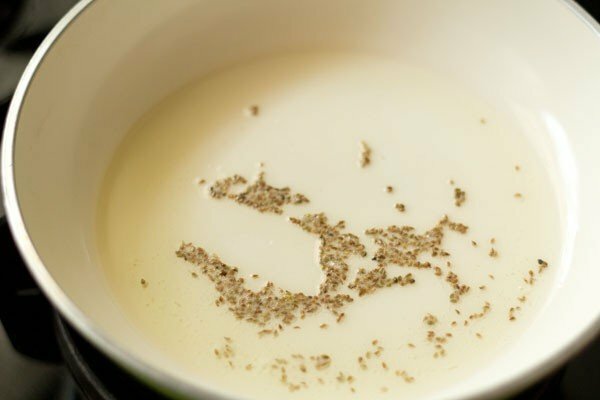 add 1/4 tsp ajwain/carom seeds. saute the carom seeds for some seconds till fragrant. then add the sliced arbi. 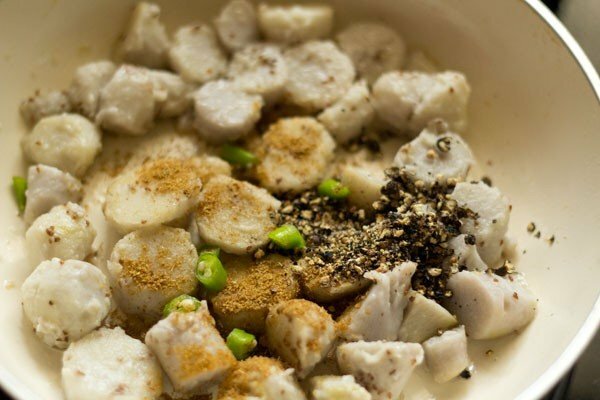 stir and mix the arbi with the rest of the ingredients. continue to stir & saute for 3 minutes on a low flame. then add the following spices - 1/2 tsp crushed black pepper, 1/2 tsp cumin powder, 1 small green chili (chopped). if using red chili powder, then you can add 1/4 tsp red chili powder. stir and mix the spices with the arbi. season with rock salt. then add 1/2 tsp dry mango powder/amchur. instead of dry mango powder, you can also add 1/2 tsp dry pomegranate powder. 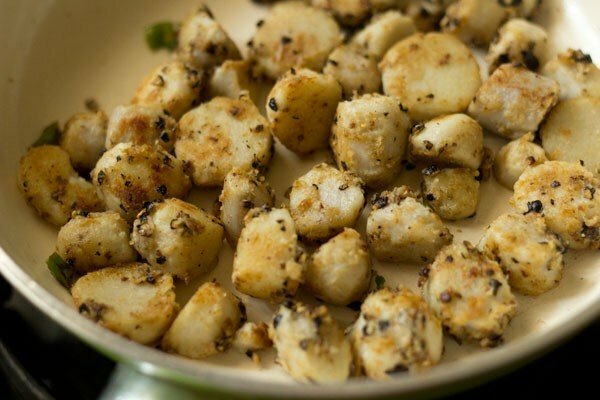 saute and flip each piece to get an even roasting and browning of the arbi slices. switch off the flame and lastly add 1 tbsp chopped coriander or 1 tbsp mint leaves. 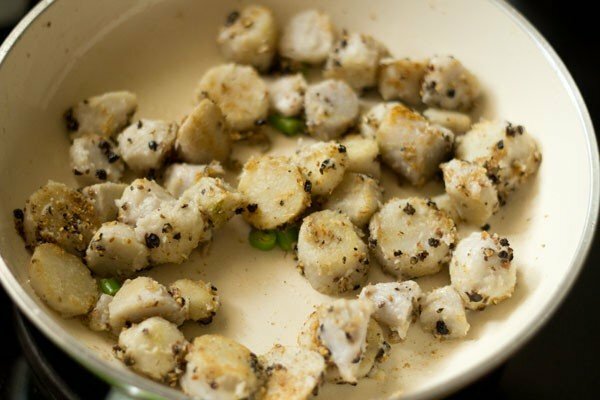 stir and serve arbi fry as a side dish with samvat rice khichdi or samvat rice pulao or kuttu ke parathe or rajgira paratha. 1. rinse 250 grams arbi very well in water. then place them in a cooker. add 2 cups of water. pressure cook arbi for 2 to 3 whistles or for 8 to 10 minutes on a medium flame. 2. when the pressure settles down on its own, remove the lid from the cooker. check the doneness of the arbi. a knife should easily slid through the arbi. if not, then pressure cook for 1 more whistle. 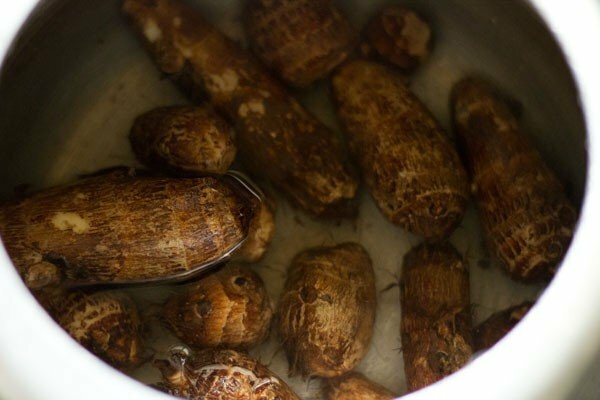 3. when the arbi cools down or become warm, peel and slice them in ¼ to ⅓ inch rounds. keep aside. 4. in a small pan, heat ½ tbsp peanut oil. 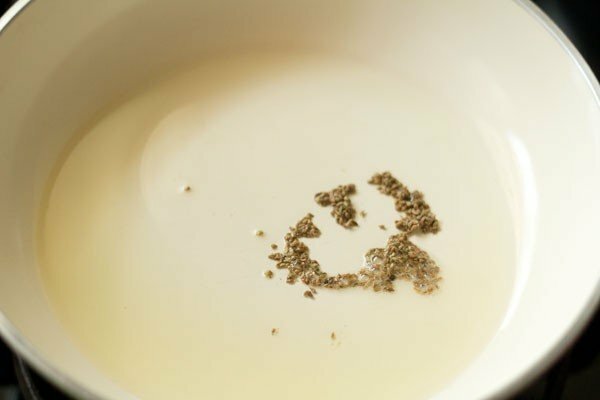 add ¼ tsp ajwain/carom seeds. 5. saute the carom seeds for some seconds till fragrant. 6. then add the sliced arbi. 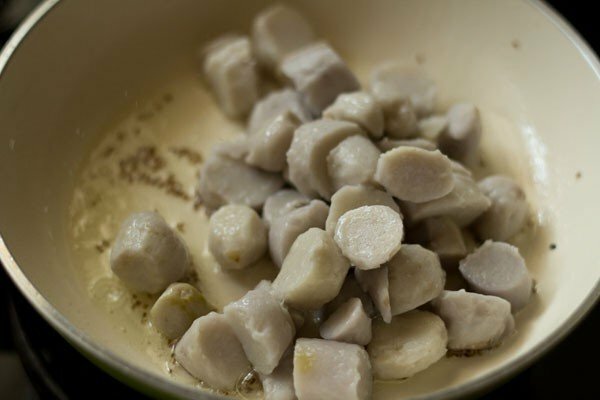 7. stir and mix the arbi with the rest of the ingredients. 8. continue to stir & saute for 3 minutes on a low flame. 9. then add the following spices – ½ tsp crushed black pepper, ½ tsp cumin powder, 1 small green chili (chopped). if using red chili powder, then you can add ¼ tsp red chili powder. 10. stir and mix the spices with the arbi. 11. season with rock salt. 12. then add ½ tsp dry mango powder/amchur. 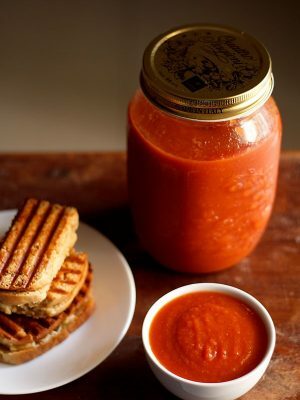 instead of dry mango powder, you can also add ½ tsp dry pomegranate powder/anardana. 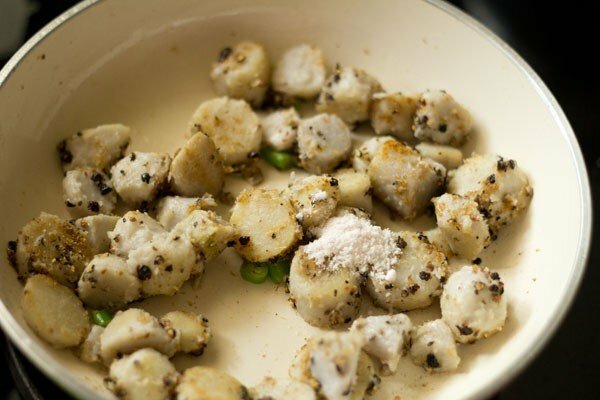 14. saute and flip each piece to get an even roasting and browning of the arbi slices. 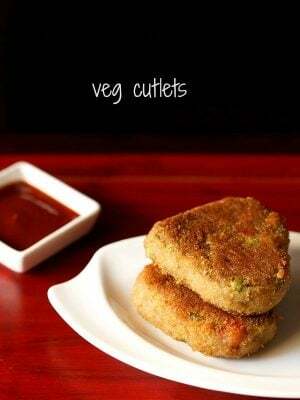 15. switch off the flame and lastly add 1 tbsp coriander or mint leaves. 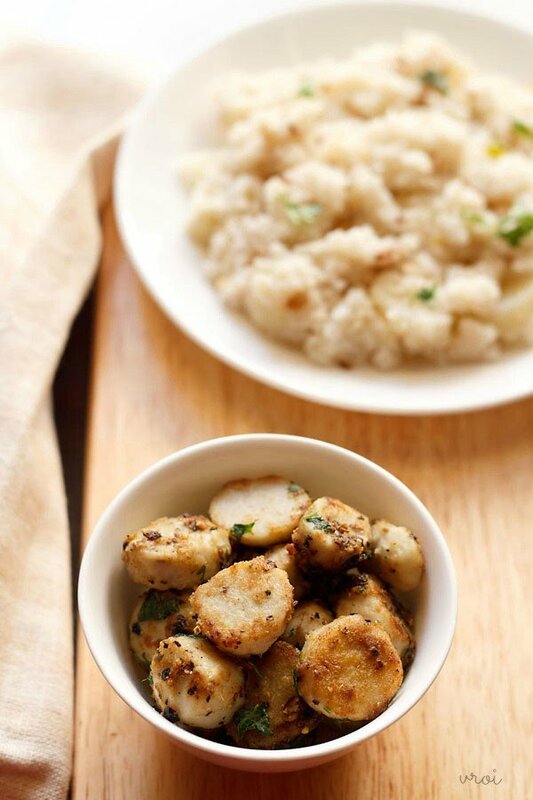 16. stir and serve arbi fry as a side dish with samvat rice khichdi or samvat rice pulao or kuttu ke parathe or rajgira paratha. 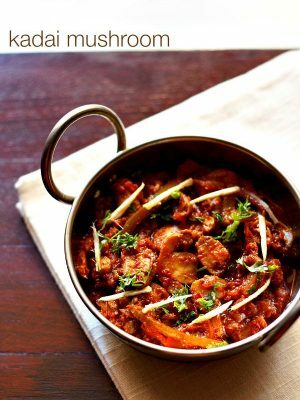 Thank u so much for a wonderful recipes…ur recipies help me to impress my in-laws…thnx a ton..Hi..I also make Khatte vali arbi..first boil arbi in a cooker for abt 2-3 whistles…after sumtym peel it and cut it into slices..then add chopped onion ,tomato,green chillies..u can also add cucumber ..and then all the spice powders ..salt ,little bit kaali mirch,dry mango powder,coriander powder,Garam masala,ajwain,jeera..after mixing it evenly..add imli water ..boil imli and also add sugar in dat water ..to give it a khatta meetha flavour..then add the imli ka pani in the arbi and mix it evenly…then put it into the fridge…it is served chilled with pranthee..or u can use it as a salad..ur big fan-inderpreet Kaur..
It’s awesome! We love it. Hi ms.Dassan. its amazing receipes I happened to know n easy to make. Especially, oilless snacks are useful. thankyou so much mamatha 🙂 and you are welcome. 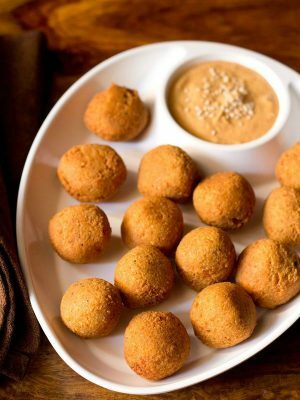 I have tried the recipe given by you they are awesome, different and good in taste .liked your recipes ,so would suggest to give more option in different ways during navratri fast .